Welcome to the Pony Party Place! 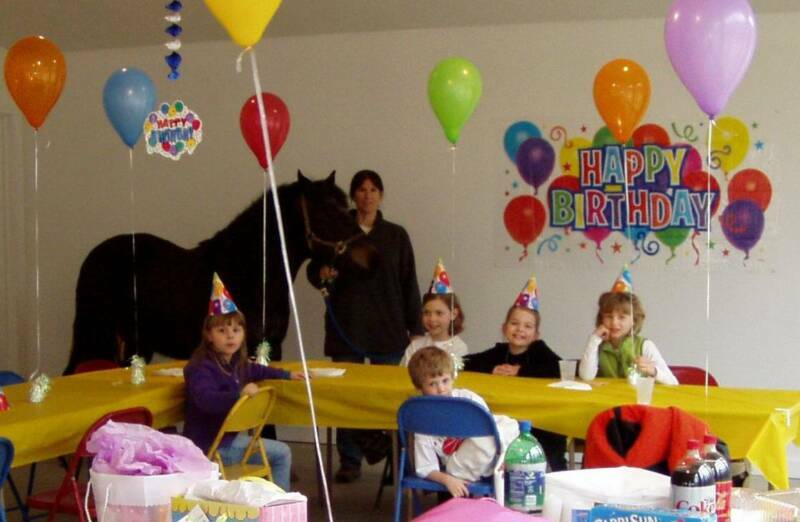 If you have a child's birthday or any other occasion that needs to be celebrated by children and their adults, consider a party with a pony. A private party room will be provided and an hour of pony rides will be available. Located in southwestern Ohio, just east of Cincinnati in the town of Bethel. The Pony Party Place is on the beautiful 80 acre, Poplar Creek Farm. "Scrappy" is a new member of our Pony Party Place. She is a full size older quarter horse. The perfect size for teen or adult parties!! Book your day now and enjoy a ride on Scrappy!